This image was a finalist in North & South Magazine's "Places in the Heart" competition. 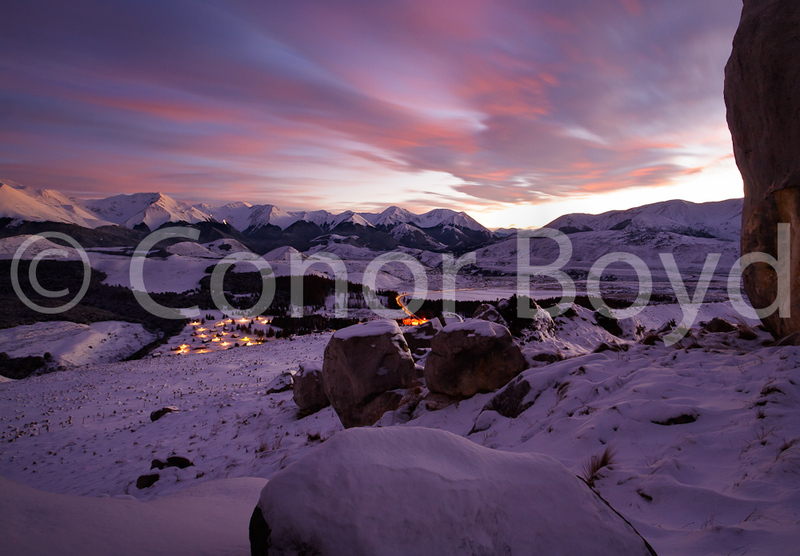 Taken around 7am in late June 2012 in temperatures around -9 degrees, it shows Castle Hill Village twinkling in the pre-dawn light in front of the Craigieburn Range, with the lights of Broken River Skifield's "Stairway to Heaven" in the background. This is a download-only price. Please contact me for other options.